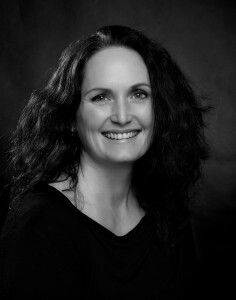 Lisa is the Artistic Director of Whynot Dance Company, a professional Jazz company which she formed in 2008 and to date performs regularly for TV, Theatre and Corporate Events. Alongside this she runs a Jazz and Ballet school for children and adult education. At six Lisa started Ballet and Gymnastics. In 1993 upon graduation from The College of Dance Dublin she was accepted into London Contemporary Dance School. Professionally she has danced with “Irish Modern Dance Theatre”, “New Balance Dance Company”, and “Chrysalis Dance”. Performances include “The Smirnoff Fashion Awards”, “Le Cenerentola” and “The Ryder Cup Opening Ceremony”. TV/Film appearances include Erin Soup Dine In’s, ESB, and Smithwicks commercials, “The Last Furlong”, “Winning Streak”, “Mrs. Browns Boys da Movie”, featured dancer and “Cellar Door” Soldier Films, choreographer/dancer. She was Jazz choreographer for Dublin Youth Dance Company in 2005 and 2006, “The Pyjama Game” 2009, “Jesus Christ Superstar” 2010, “Anything Goes” and “Oklahoma” 2011. Her own company works and choreographies include “Move it” 2008 and “Silver Linings” 2013, “The Ploughing Championships” 2014, “Monto in the Park” 2015, “Electric Picnic” 2015, 2016, 2017, 2018 “One is Not Oneself” with Cadance Theatre Company 2015, “The Palestine Festival” 2015. Lisa was on the Faculty of the full -time dance course at Sallynoggin College VEC for ten years, teaching commercial Jazz, Imperial Ballet, and Modern Theatre. She is also a regular guest Teacher for Dance Ireland, where she delivers morning professional classes in Jazz and Ballet. She is a member of the Teaching Council and a fully registered Teacher with the ISTD, qualifications include Imperial Ballet DDI, DDE, Modern Theatre FDI, CDE, Zumba Instructor, Personal Trainer/Fitness Instructor, NCEHS.